SHENZHEN, CHINA, February 15, 2017 – Hard Rock Hotels announces the launch of its first hotel in China, Hard Rock Hotel Shenzhen. Slated to open in summer 2017, the new Hard Rock property will offer a luxury stay for modern travelers who are seeking a reprieve from traditional accommodations. Blending pop culture and premium hospitality, Hard Rock Hotel Shenzhen promises a host of world-class leisure, dining and entertainment options and the thread that unites them all – music. Throughout the property, guests will enjoy rare and valuable memorabilia on display. Carefully chosen from Hard Rock’s world-famous, 80,000+ piece collection, each prized piece celebrates legendary music icons from around the world. While music soothes the soul, food satisfies the senses and Hard Rock Hotel Shenzhen will boast a variety of dining destinations. Travelers can choose from the signature Hard Rock Cafe, a rooftop restaurant and pool bar, The Cake Shop, GMT+8 Lobby Lounge or browse the all-day offerings at Sessions. Other facilities include the Body Rock® fitness center, Rock Shop®, and Roxity Kids’ Club for budding little rockstars. 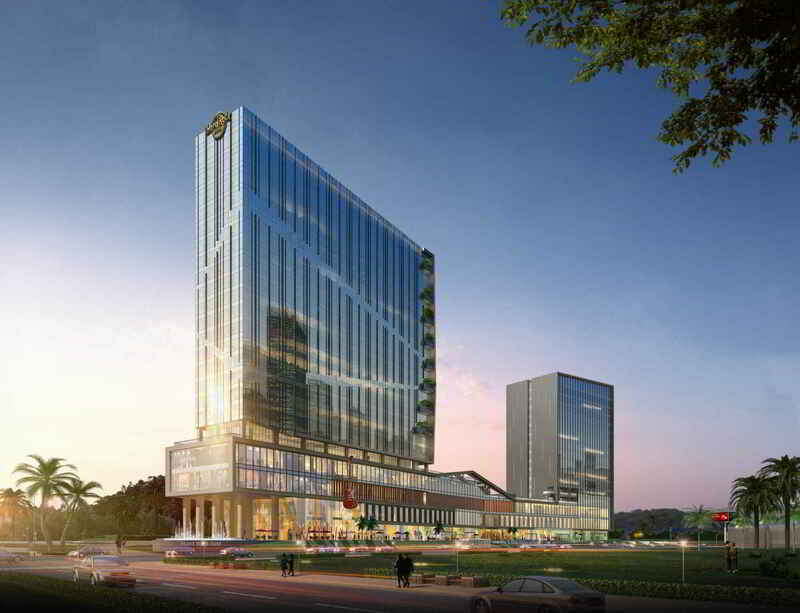 Hard Rock Hotel Shenzhen will also feature more than 1,000 square meters of event and meeting facilities.